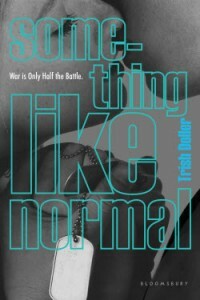 Today’s winner will receive an ARC of Something Like Normal, and a crush on Travis. Or Harper. Possibly both. You’ll also get a download code for the song “Bullet” by Matt Kearney, which is on the Something Like Normal playlist. I can’t help but think of Travis every time I hear this song. Great story idea, so many soldiers have stories that would break anyone. Wow! looking forward to reading this one! Congrats, Erika! You won a copy of SOMETHING LIKE NORMAL, and a song! Email me your mailing address, and I’ll get the book out to you asap. Ooh, this has been on my TBR list for awhile. I’d love to cuddle up with this story! This has been sitting in my to read pile for my nook, need to get on it. I really have to read this book–it actually sounds a lot like bits of my life. OH MAN I AM EXCITED. YES, HAVING A CRUSH ON A FICTIONAL CHARACTER MAY BE A GREAT THING but it will crush my soul I am sure. 23-04-2019Happy Book Birthday STORM OF LOCUSTS! 17-04-2019SOLD! Congratulations to Jason M. Hough! 16-04-2019Belated congrats to Jamie Pacton! 16-04-2019Happy Book Birthday to THE ROSE! 12-04-2019RED, WHITE AND ROYAL BLUE optioned for Film! kt literary logo designed by Lionel Ruland, BAD MOO, Inc.
© 2019 kt literary. website design by Doyce Testerman.